after a long day of looting, the 2 bandits settle down by the fire. 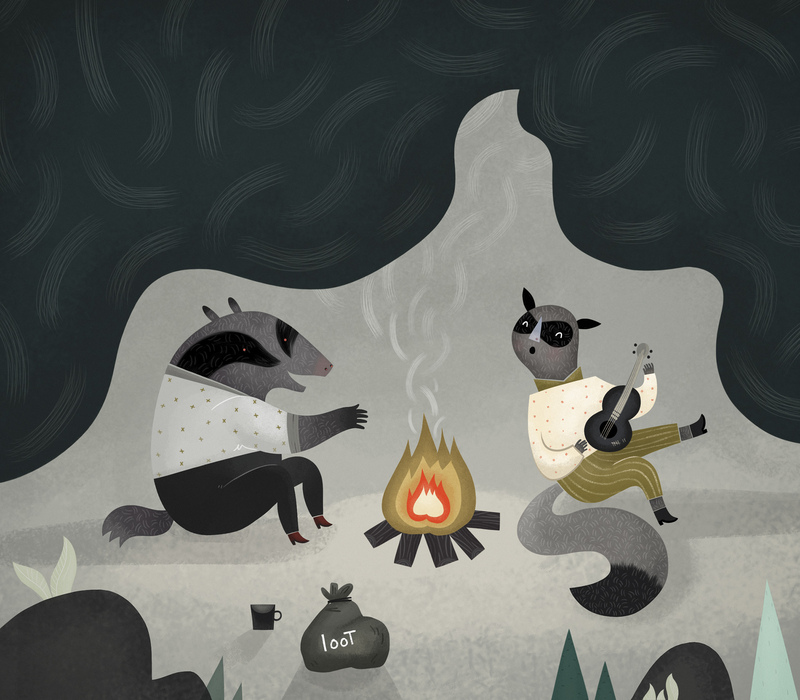 This entry was posted in Uncategorized and tagged badger, bandits, fire, illustration, loot, racoon by sarahgoodreau. Bookmark the permalink. This is great – love your illustration style! I will have to show this to my youngest kids. They will love it. So cute.